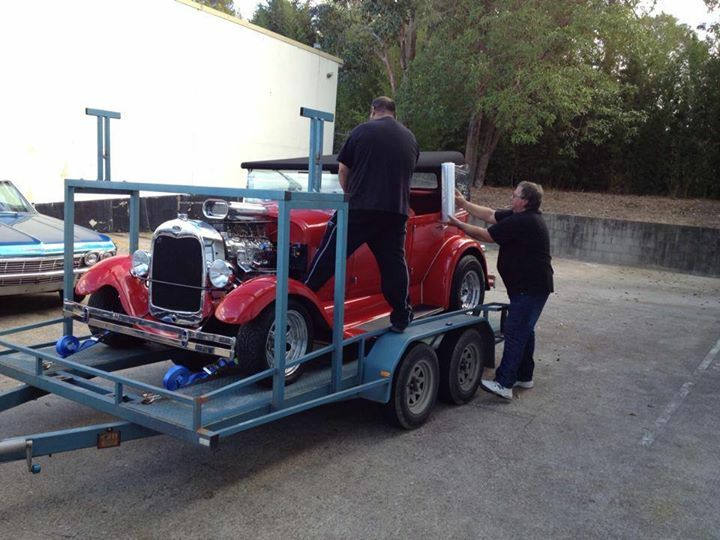 Today we loaded Our 29 Model A Tourer onto the new owner's trailer bound for Melbourne. 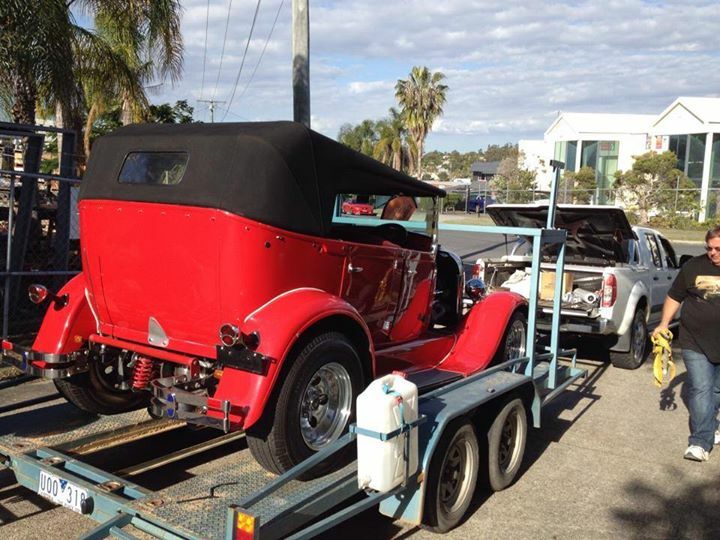 A roll of shrink wrap and a few rolls of duct tape provided an impromptu car cover! 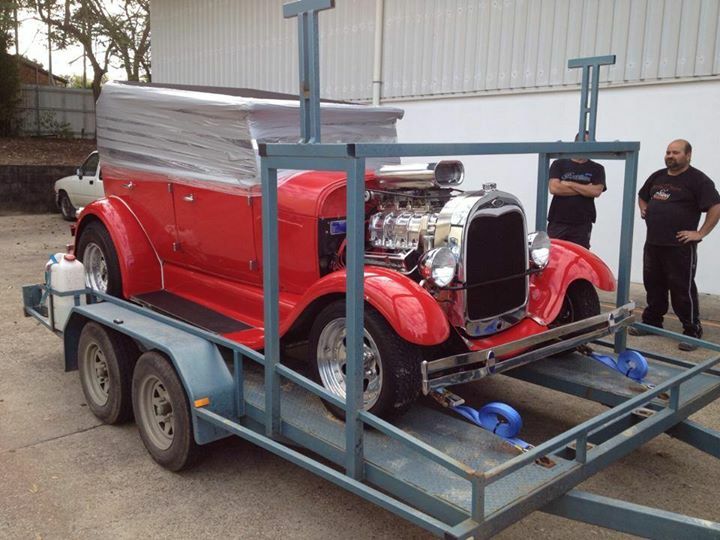 Stuart plans to do some cruising when he gets the hot rod registered in Victoria. Can't remember if I told him there was no heater!